Didn't know where to put this....What's one more Thread? Just going on memory...Think Ward was a really good recruiter. Might have been a key guy recruiting Jordan Huff...? Quote: Temple: Source tells FootballScoop Illinois running backs coach Thad Ward is expected to join the staff coaching receivers (additional title expected as well). 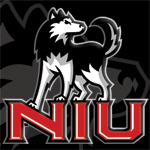 Prior to joining the Illinois staff in March 2016, Ward had coached receivers at NIU for three seasons. (01-30-2019 12:11 PM)thxjoenovak Wrote: Didn't know where to put this....What's one more Thread? Thad is a great recruiter. Awfully good hire for Rod and, unfortunately, gives him a guy with really good contacts within Illinois. (01-30-2019 12:37 PM)HuskieDave Wrote: Thad is a great recruiter. Awfully good hire for Rod and, unfortunately, gives him a guy with really good contacts within Illinois. I dont know why Rod would focus on Illinois when he is on the east coast now. He will want east coast kids and talent from the south. This should have very little impact on us. I don’t think Rod got him because of his Illinois contacts as much as he got him for his Florida connections. Thad got some good ball players from Florida for us. (01-30-2019 12:59 PM)NIUSox10 Wrote: I dont know why Rod would focus on Illinois when he is on the east coast now. He will want east coast kids and talent from the south. Well, they offered 4 or 5 Chicago area kids in the last week. Over time, I agree, I would expect little impact, however, they will certainly linger over the next 12 months. Thad is a good get, odd that he'd be able to steal him from Illinois, maybe didn't like working with Lovie? Agree this doesn't really affect NIU long term, good luck to HOT Rod. (01-30-2019 01:18 PM)17Huskies Wrote: Thad is a good get, odd that he'd be able to steal him from Illinois, maybe didn't like working with Lovie? Maybe Thad sees the handwriting on the wall. The Lovie ship is sinking fast and he probably has one more year at U of I. It says additional title expected as well, so either OC or Associate Head coach type thing. Carey is energized and Hammock is energized, good for both of them and good for both programs. That said, I prefer Hammock and feel that we took a step forward. (01-30-2019 03:13 PM)NIUSAE Wrote: It says additional title expected as well, so either OC or Associate Head coach type thing. He's going to be our Co-OC. FL connections most important, but we're definitely going to recruit Illinois a lot more. (01-30-2019 04:10 PM)bikechuck Wrote: Carey is energized and Hammock is energized, good for both of them and good for both programs. I can see it now. Coach U and Ward arguing what down to do the bubble screen, a qb draw and then 3rd and long with a run play up the middle. We'd be used to the draw on 3rd and 15 thanks to Steve Addazio. It says a lot about the drawing power of Rod Carey and Uremovich that they’re able to poach Big Ten assistants. Who really cares who Carey added to his coaching staff Careys gone!! Illness AD extended Lovie's contract another couple years recently. Unless someone else wants to buy him, Chambana has Lovie until 2023. To be clear, that’s two more years for a coach who just completed a 4-8 season at Illinois and has three-year records of 9-27 overall and 4-23 in Big Ten play." Lovie’s record after three years is substantially better than what Joe Novak was over a comparable period (3-30). I wouldn’t come to any final conclusions. Final conclusions? You mean like Lovie will not turn their program around like they hope he will? I'm ok with that.